FRAMED PRINT. 22x18 inch (56x46cm) Framed Print with Black Satin with Off-White Digital Mat. 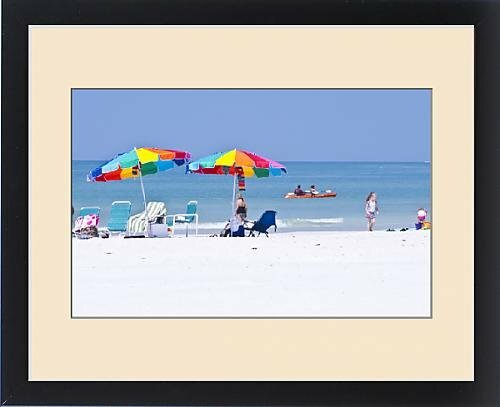 Artwork depicting North America, USA, Florida, Sarasota, Crescent Beach, Siesta Key, People. USA, Florida, Sarasota, Crescent Beach, Siesta Key, People relaxing, walking, playing on the beach Rated Best Beach in North America in 2012. Professionally made to order in the USA. Artwork Description... USA, Florida, Sarasota, Crescent Beach, Siesta Key, People relaxing, walking, playing on the beach Rated Best Beach in North America in 2012.